Share this indulgent treat with someone special. 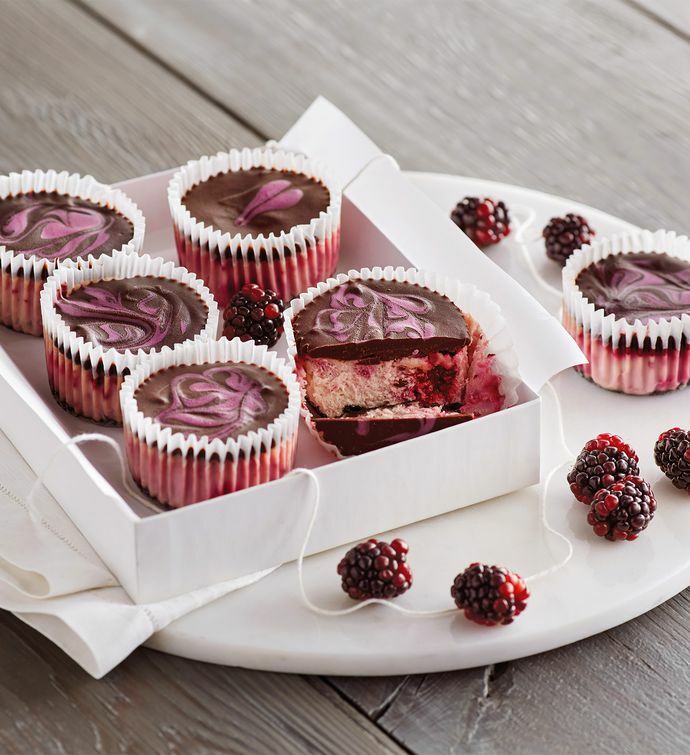 Made in our Southern Oregon bakery with our signature dark chocolate ganache, a dark chocolate crumb crust, and a filling of New York-style cheesecake and whole Marionberries, these cupcakes are sure to delight. Five are finished with a decorative purple swirl made from white chocolate ganache and one bears a heart design.